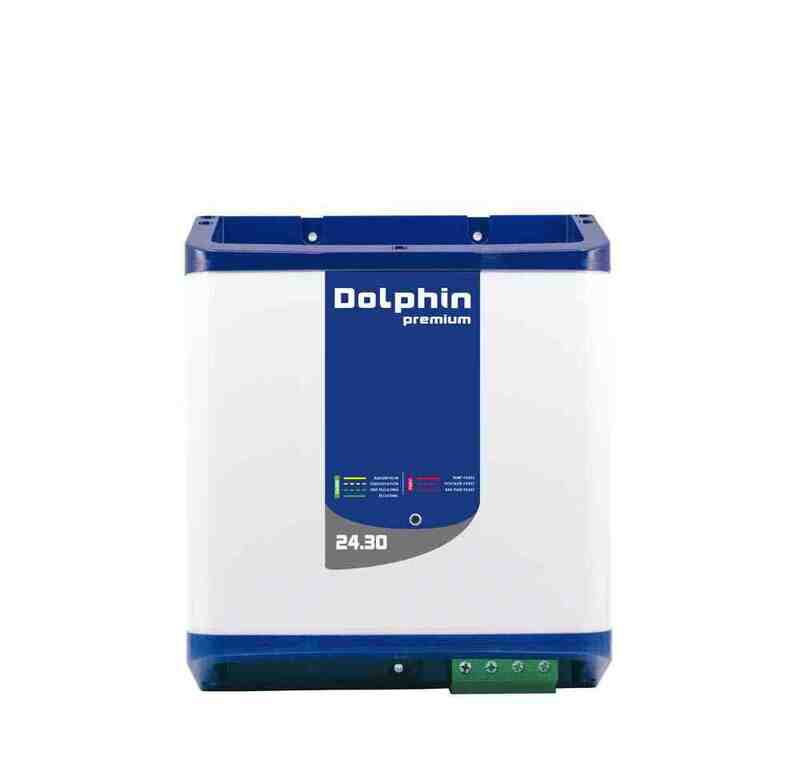 Dear Customers and Partners, The Dolphin Charger Team is proud to inform you that the brand new PREMIUM 24v30a boat battery charger is now available on stock. You can send your orders (product reference: Part Number 399060) by simple email to our colleague, Lisa (contact@dolphin-charger.com) in the Dolphin Sales Dept. For more technical information (tech specs, size, user manual...) on the PREMIUM 24.30 version, just click here. DOLPHIN PREMIUM boat chargers feature rock-solid, industrial-type connectors and super-easy « plug-and-play » wiring. DOLPHIN PREMIUM marine chargers deliver full power (no derating) even at high temperatures (up to 50°C/122°F). They come in a very robust and compact casing. DOLPHIN PREMIUM chargers will work with any battery on the market. For more technical information on all the other versions of ourPREMIUM Range, simply click here. Our expert's advice : "no derating" means that there will be no loss of power even when your Dolphin boat charger faces high temperatures up to 50°C/122°F. This is unique on the market. When buying a new charger for your boat, make sure the power unit you chose guarantees this "no derating" function. And you will chose a Dolphin Charger, for sure! Other technical questions? Check out our renewed FAQ! Can't find the technical answer you're looking for ? Ask our experts, Nicolas and Jean-Philippe !